While surfing the web, I ran into a wonderful recipe from The Smart Ones!! It looked so delicious that I had to share! 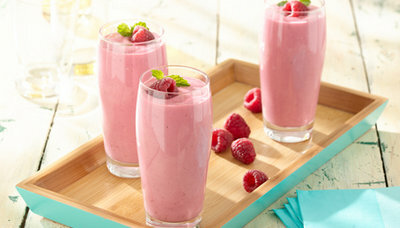 Click the link below to find out how to make these delicious smoothies from Smart Ones® Raspberry Cheesecake Sundaes and Vanilla Greek yogurt!! !